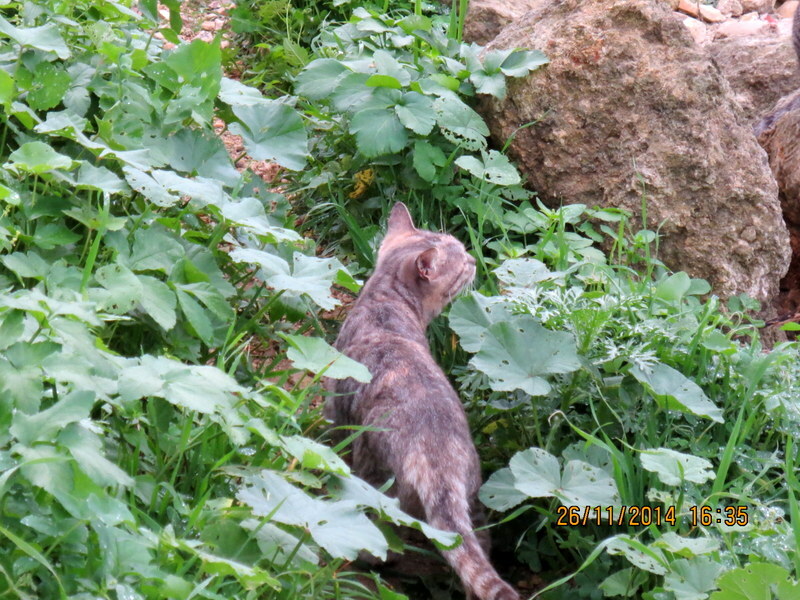 Simba was released in her colony. 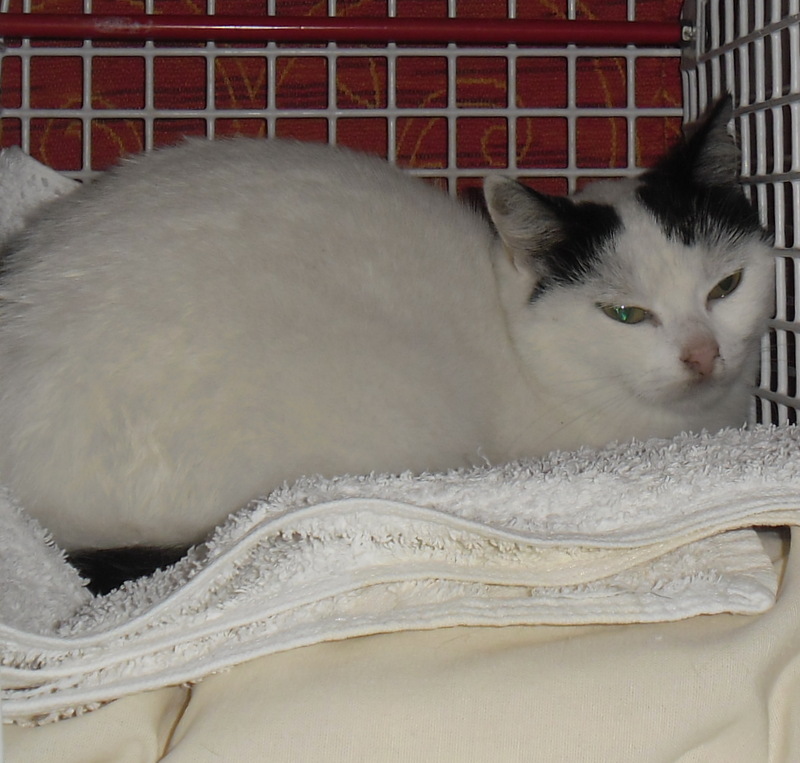 She’s such a sweet little cat but unfortunately not friendly enough to be homed. we knew we made the right decision. Teddy went to his forever home today. 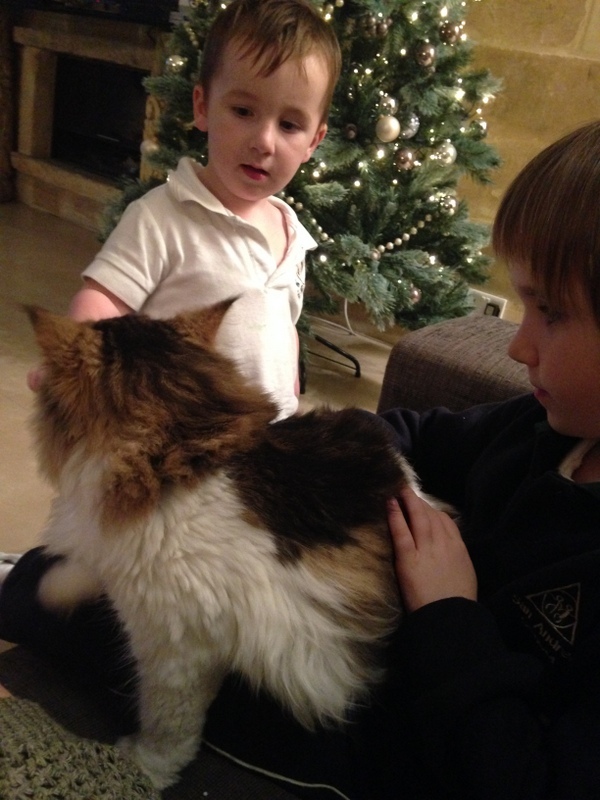 It was amazing to see how quickly he adapted to his new home and we are VERY grateful to the lovely family who adopted him! He couldn't have found a better home! 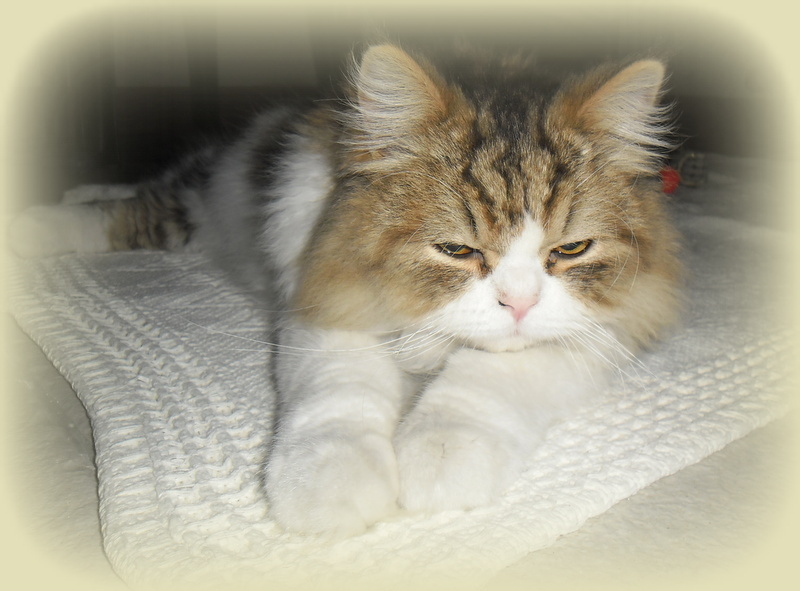 His new name is Aslan, much more the much loved tiger than the teddy bear! Thank you Ceri and your lovely family! Teddy was brought here in the afternoon. His current owners had to move back to the UK today and asked us for help. 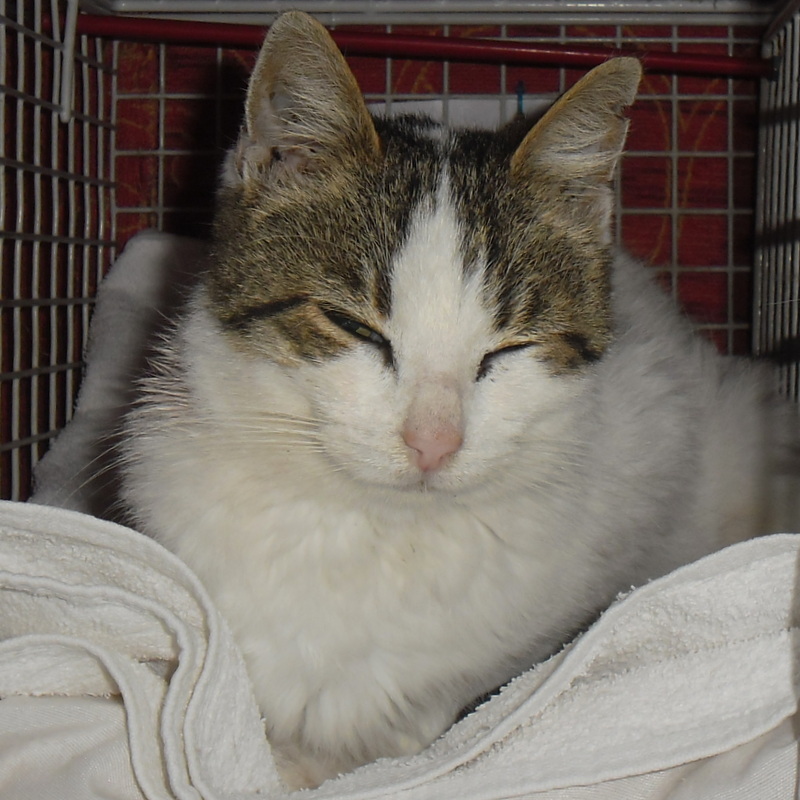 We found a lovely home for him but he will be neutered first on Monday and after his recovery he will go to his forever home! He’s gorgeous! His former owners told us that he loves music so we’ve put a portable radio in his room and he’s listening to the music all day! 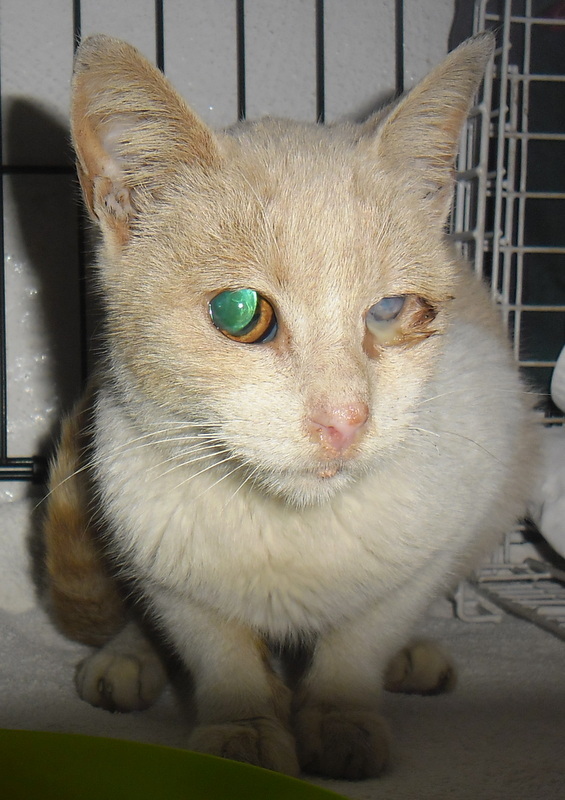 A kitten with a very infected eye was caught. and hopefully she will recover soon. 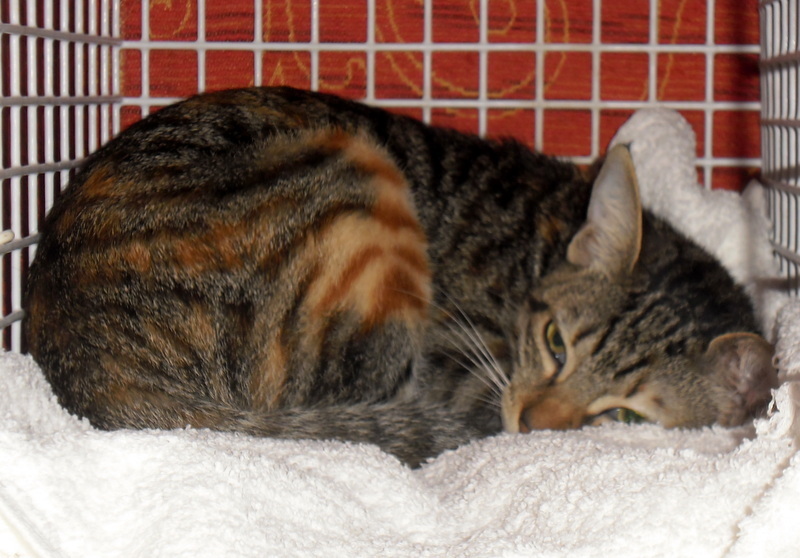 Two young females were neutered. Lisa has been in our recovery for 4.5 weeks. 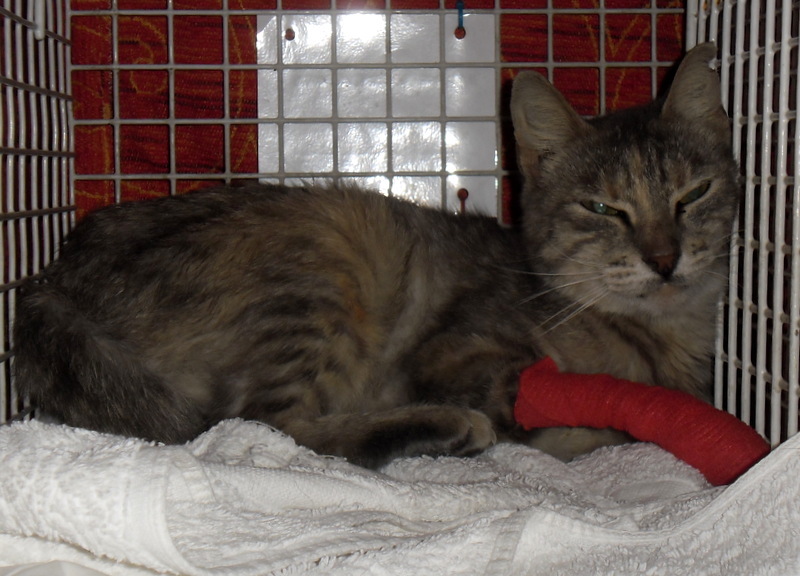 She had a very bad infected leg and the abscess was removed 2 weeks ago. Of course she was neutered at the same time. as she has a skin problem. Fortunately it's nothing serious but only a flea allergy; she had a steroid injection and Stronghold. A female was caught in an empty house. She has been living there for a couple of years and one of our feeders was taking care of her (and another mother cat with seven kittens) for quite a while. She’s blind in one eye and has only a little bit of sight from the other. 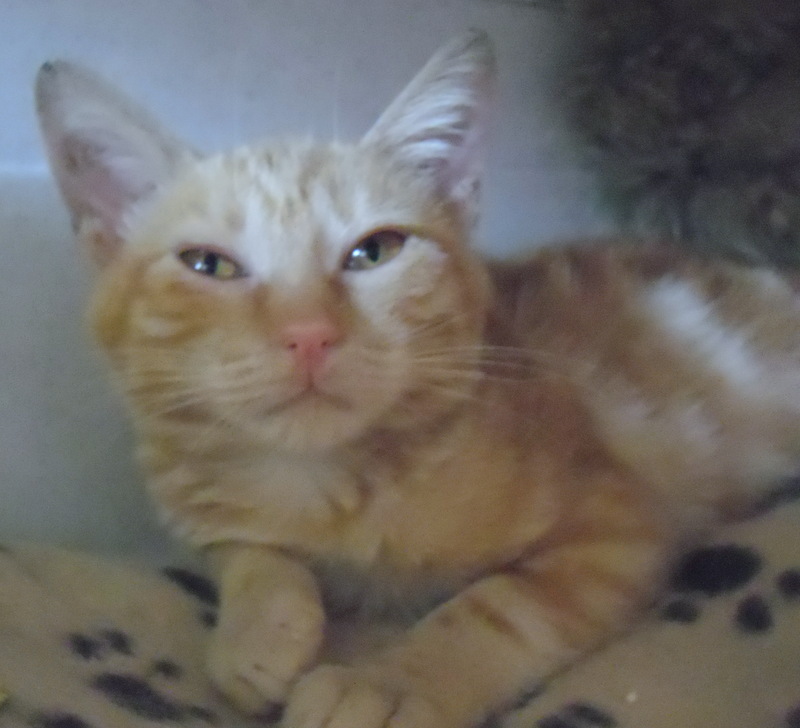 The other mother cat was caught and neutered last week; we caught and homed three of her kittens but unfortunately the other four were all killed. By cars? We don’t know because the neighbours didn't like these cats being around; we were afraid that they were poisoned so we couldn't leave these adult cats there. They will be relocated together in a very safe place this weekend! Lisa’s bandage and stitches were taken off. She looks very good but has to stay in our recovery for another week to prevent another contamination. 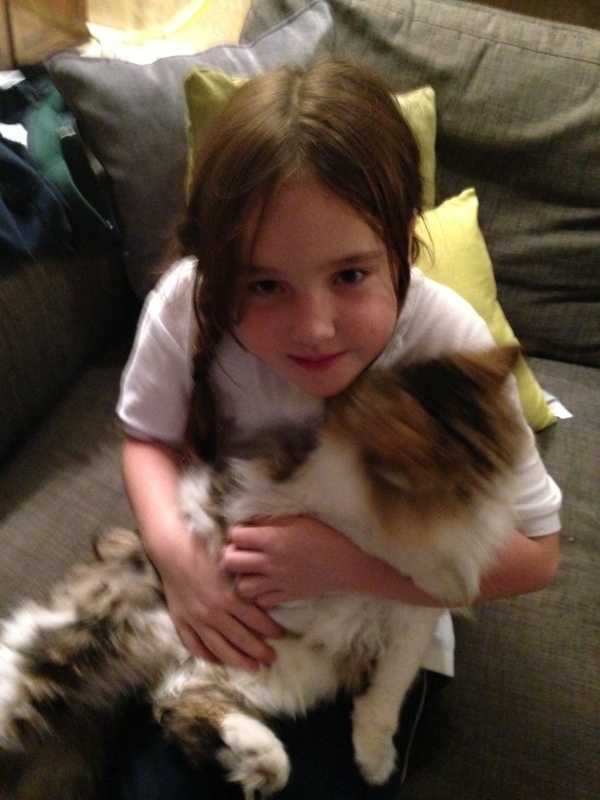 Alexia had a check-up because she has some sore patches in her neck. Most probably this is “Toxic skin” which could be caused by her kidney-failure condition. Mo Mo had her first vaccination. 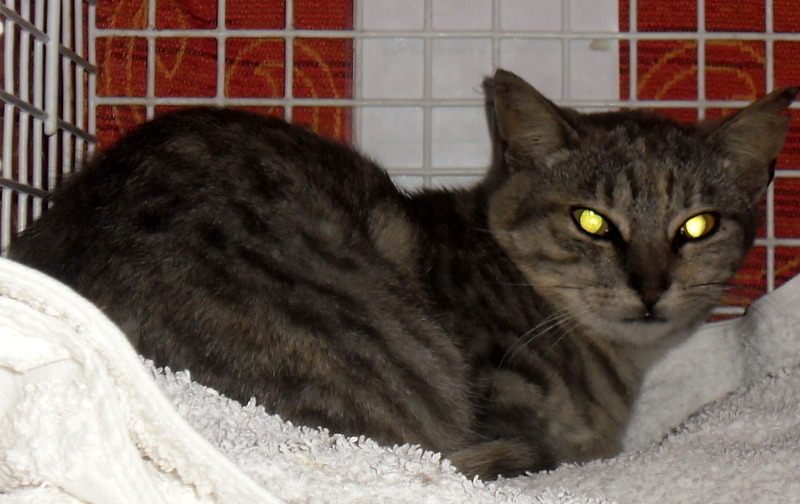 Our aim is to find a good home for her but although she loves other cats, she doesn't like people (us); it was a big “circus” to give her the injection! 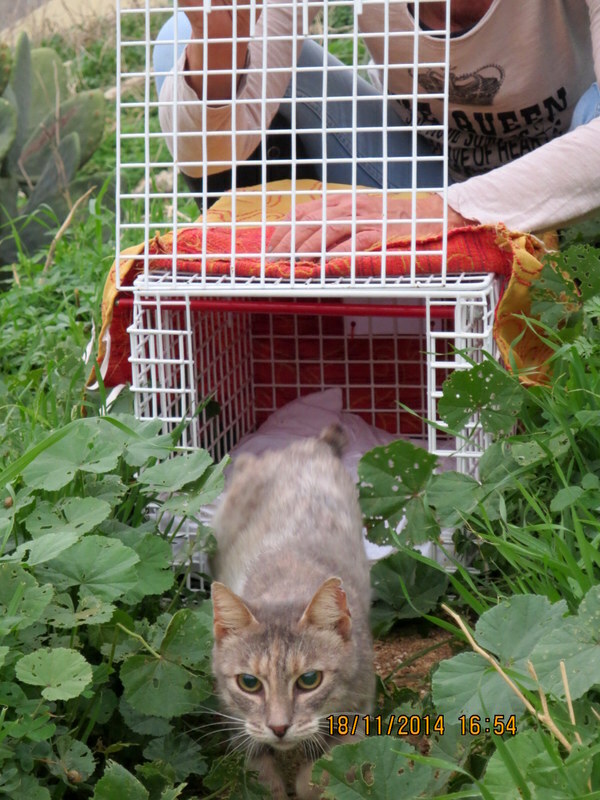 Yesterday was our “lucky day” as we caught 4 cats in different colonies we’re feeding. 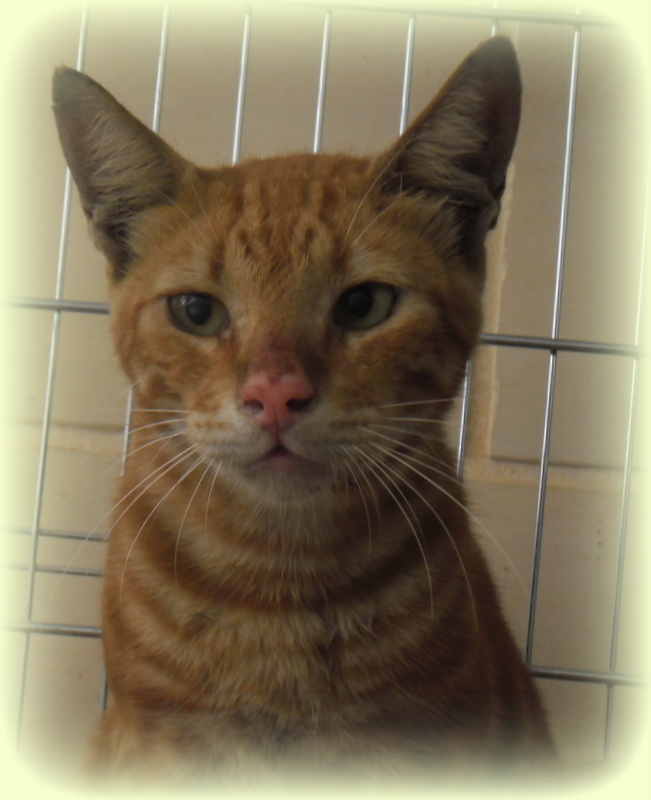 At least his ear is clipped now and he was treated for fleas and worms (as we do for all the cats we neuter). 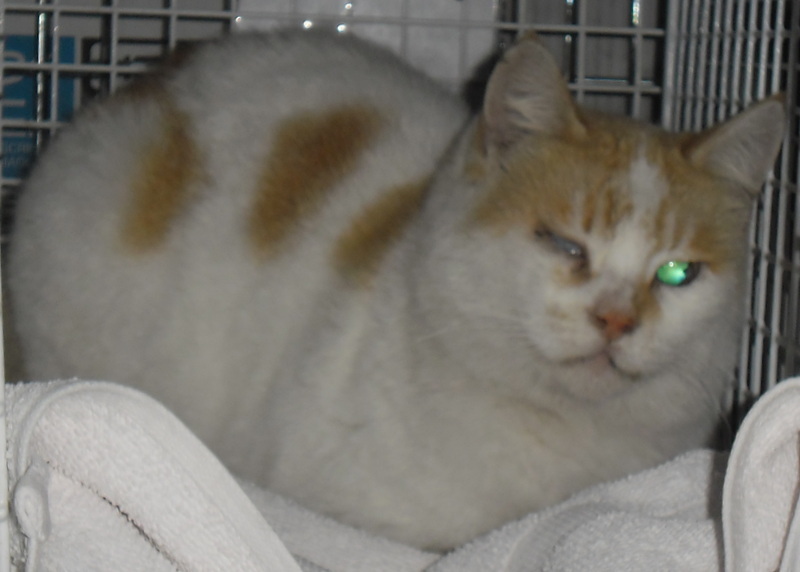 Another male, Wesley, appeared to be very sick: he had cat flu and had a lot of ulcers in his mouth. 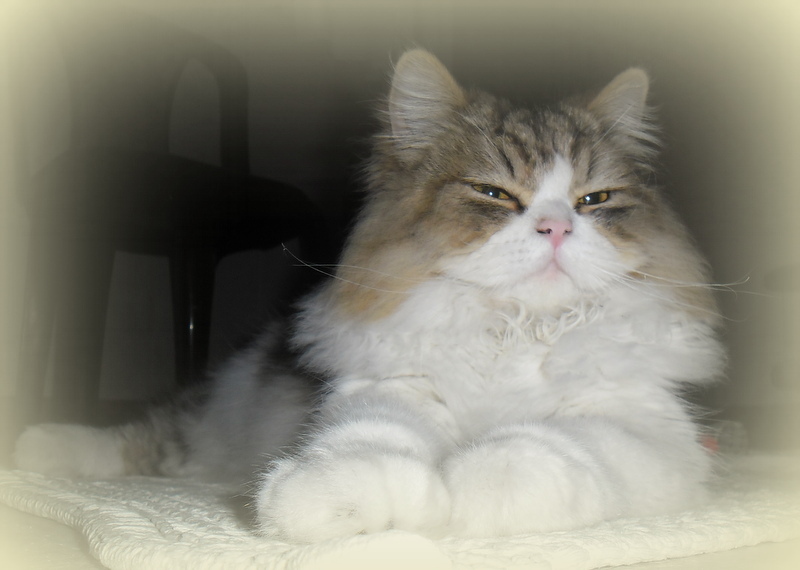 The vet suggested to do a FIV/FeLV test and the result was that he was FIV positive. 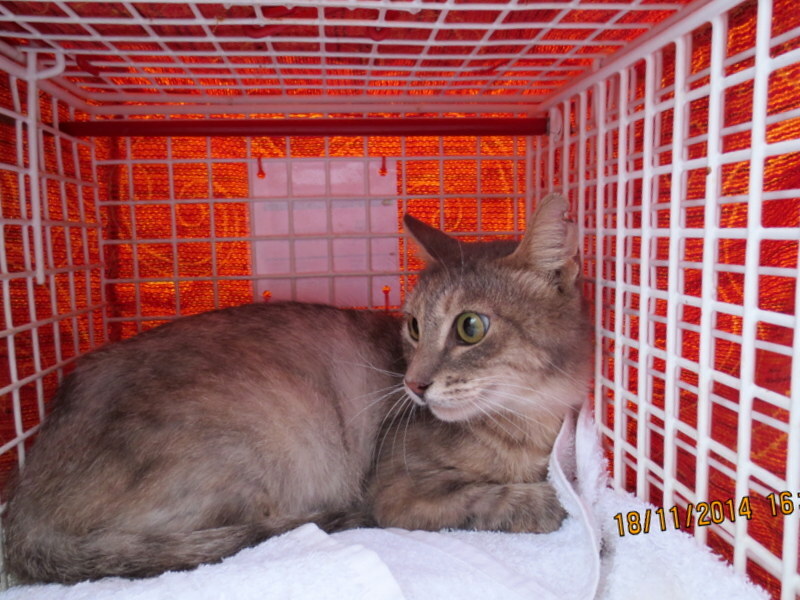 When a cat is in or around our house this is not a big problem but Wesley was living in a colony and we wouldn’t be able to medicate him or to catch him again. The vet told us that even if we would keep him in our recovery and medicate him for a while there was hardly any chance that he would come better. She advised us to put him to sleep, not to let him suffer. There’s no picture of him but he’s in our hearts forever. The good news is that Mo Mo is doing very well! She’s completely healthy now and we will try to find a good home for her. 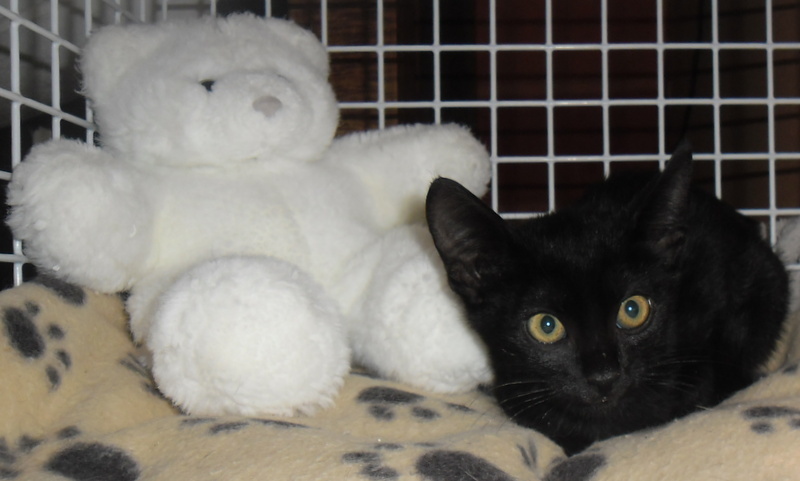 This will be very difficult as she’s very shy and not many people are willing to adopt a kitten like that. She needs a lot of attention but with the right (patient) person(s) she will be a lovely friend! 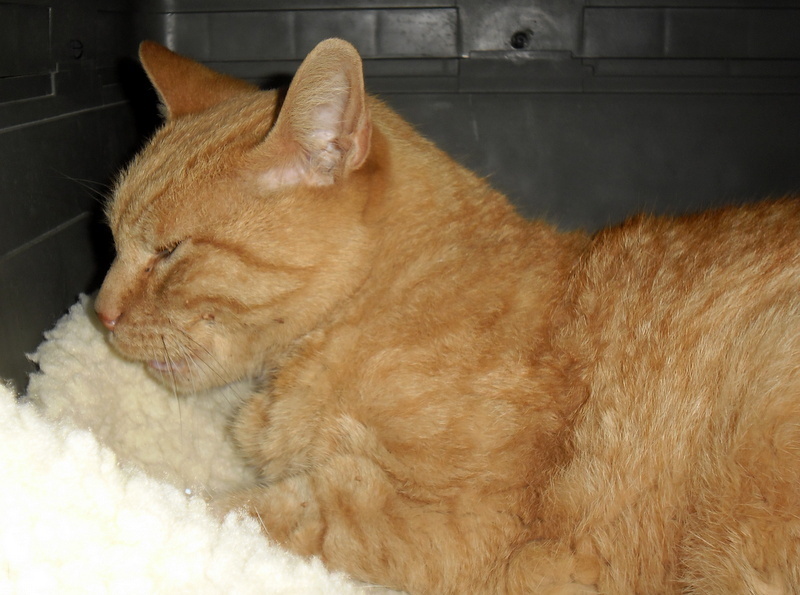 This morning we received a phone call from people who heard that we found a ginger cat and they came to see him. And YES! 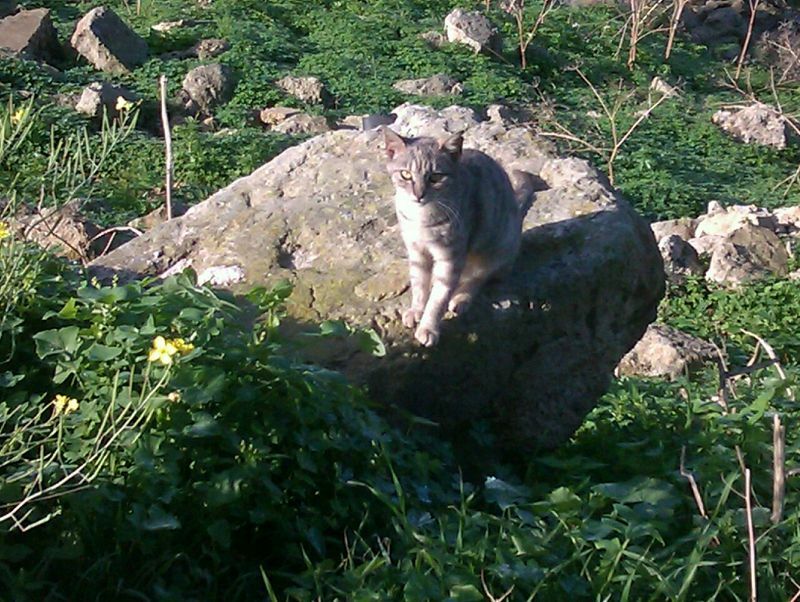 It was their 16 year old cat Beauty who never had been outside before. To see the owners and Beauty so extremely happy to be reunited made our day!!! 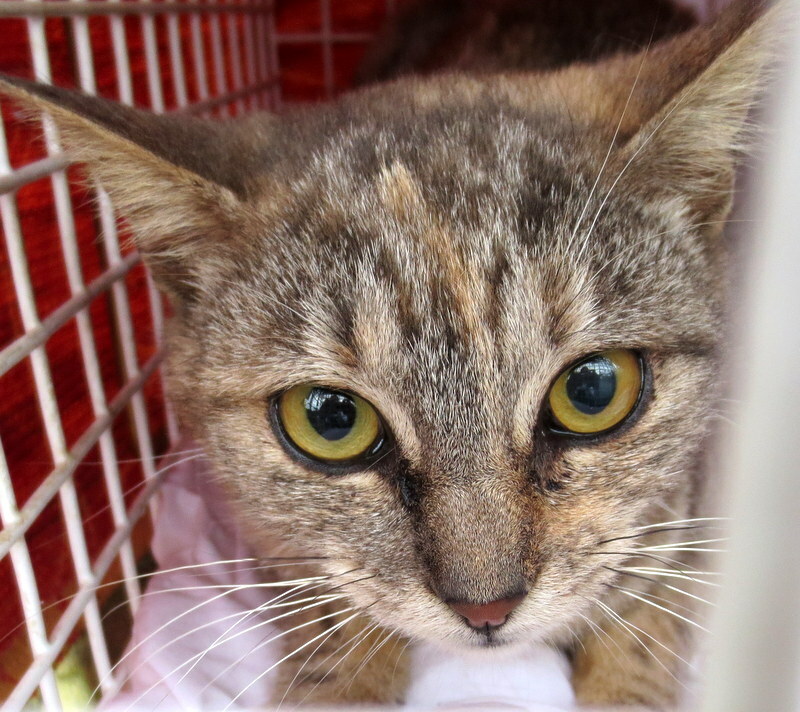 A female was caught and neutered. 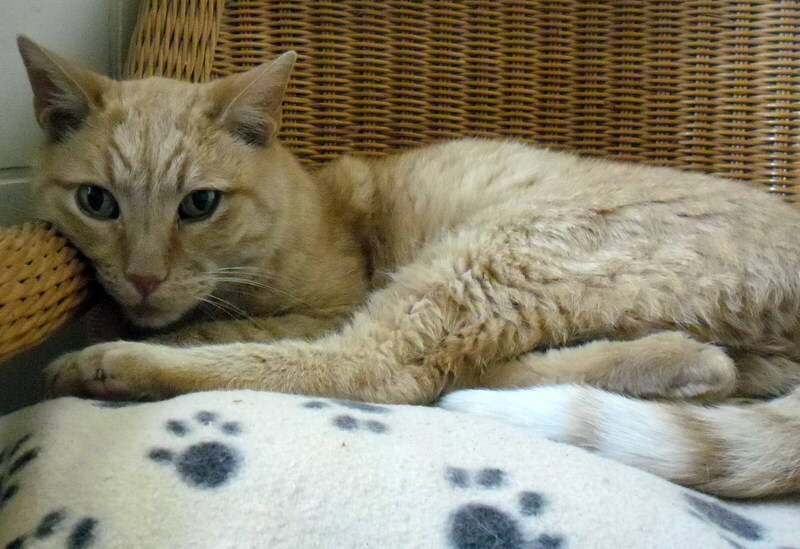 Tommy was diagnosed with FIV in January 2012 and we did everything to give him a happy, comfortable life. 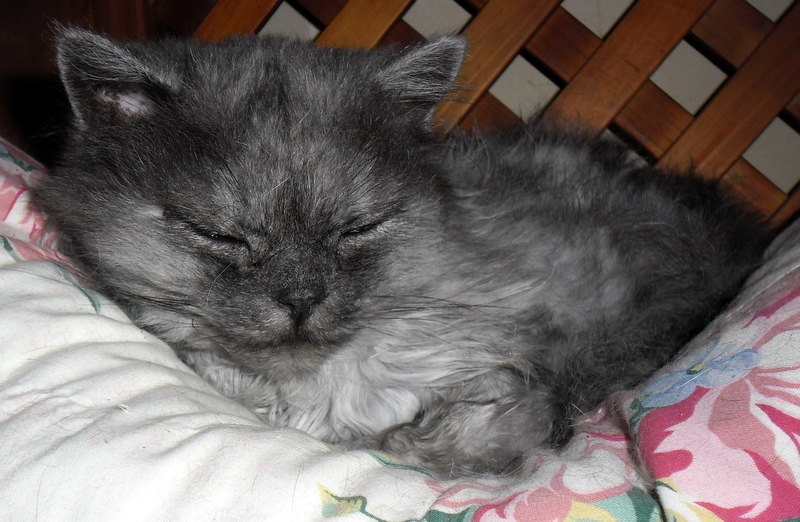 He had gingivitis and most of his teeth were removed, we gave him an immune booster every day, when he couldn't eat he had a steroid injection, and these last weeks we were feeding him with a fork because he couldn't eat by himself anymore. We will miss you so much Tommy! This morning we got a phone call that a cat was in somebody’s garden, not moving at all so most probably injured and/or sick. 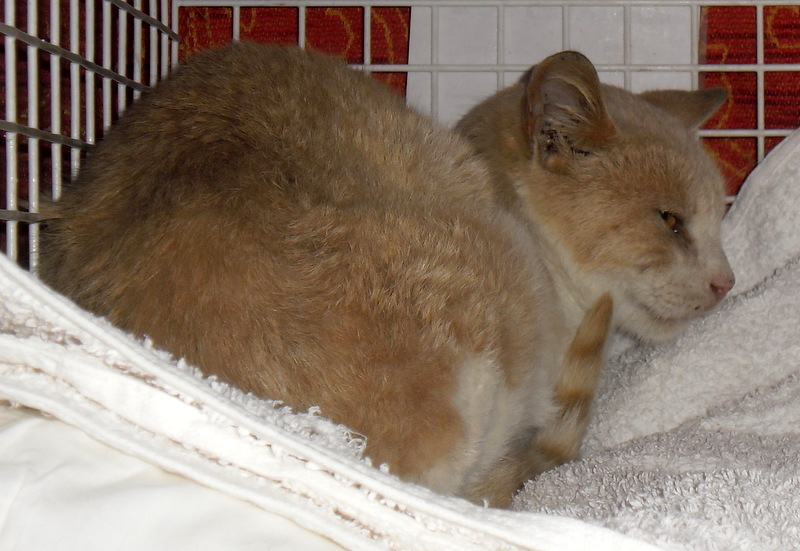 So we went there and caught him, which was not difficult because he wasn't moving at all…..
At the vet it was obvious that he was attacked by a dog and most probably has an abscess under the skin in the neck. 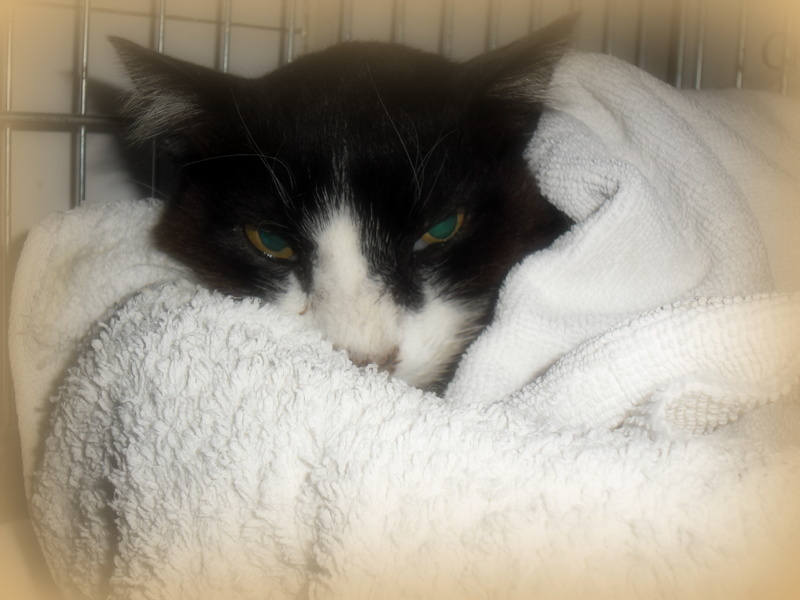 He's very dehydrated and has a very low temperature so most probably he was already in a bad state but at least he got all the necessary treatment today and now we’ll do our very best to make him healthy again; he has to be force fed and re-hydrated every two hours. Update 4th November 2014: looking a bit better! 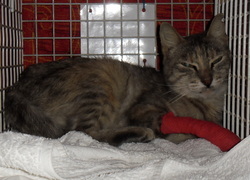 Lisa, who was caught in a colony more than 2 weeks ago with a very infected leg, was operated today. 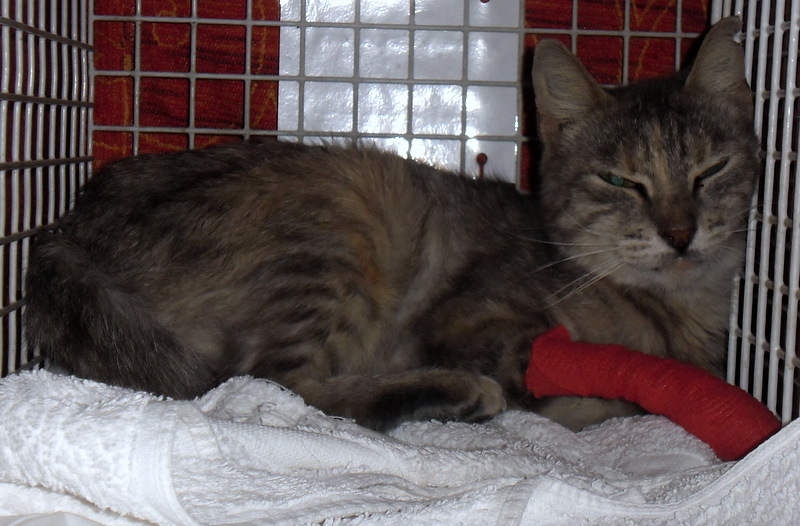 The abscess was removed and she was neutered. 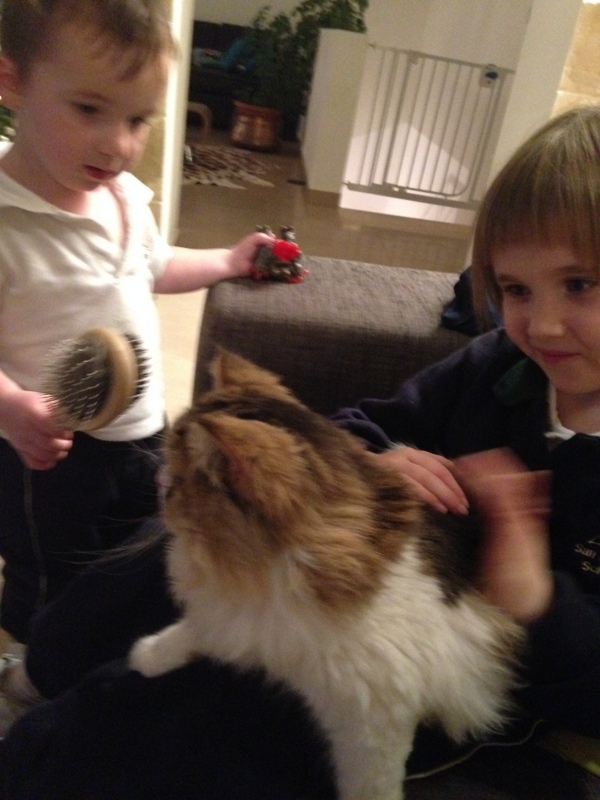 We have been taking care of Milo since the 23rd August 2014. 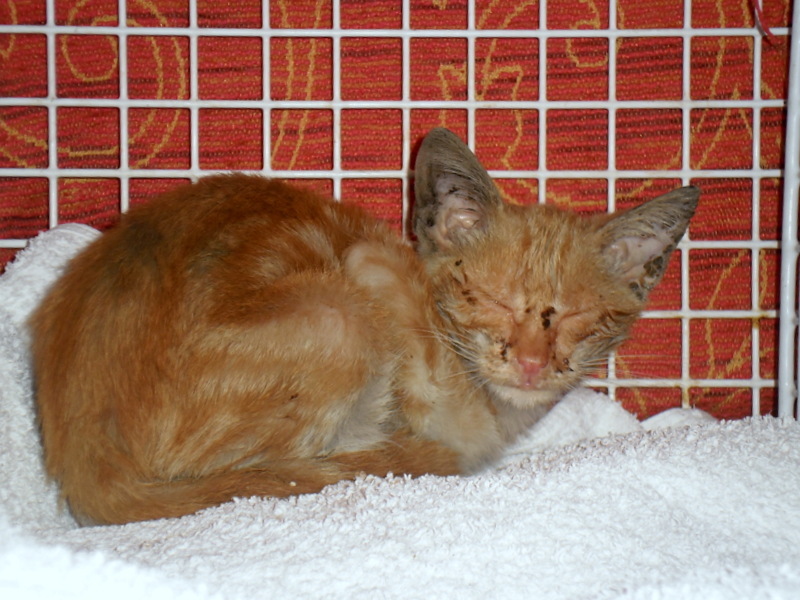 He was brought here by a Scottish man, living in Ireland, who caught him in a colony in the docks in Marsa and wanted to adopt him and take him to Ireland. We were asked to take care of him and the paperwork until he could leave. 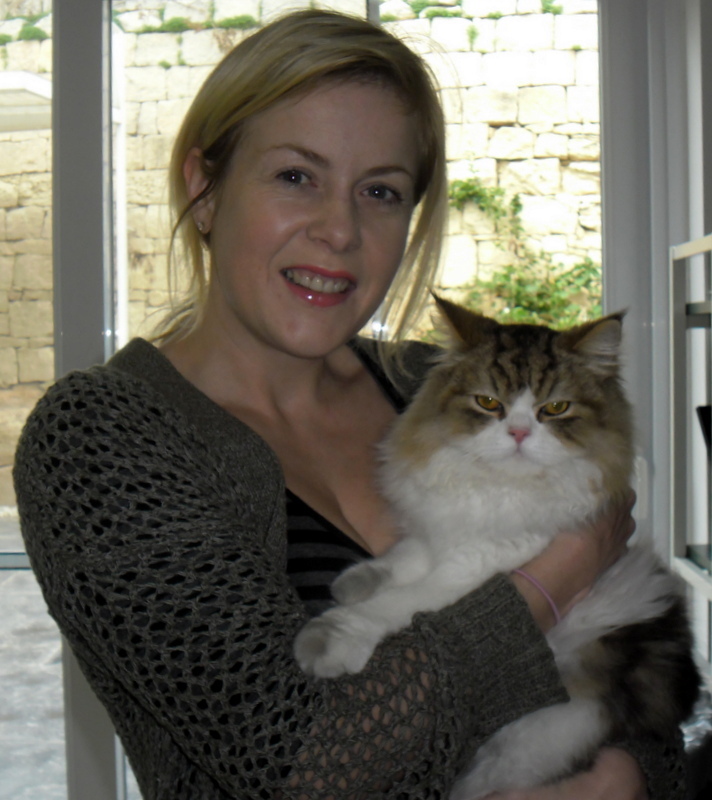 We never expected that it would take so long until his new parents arranged his flights, as the necessary paperwork, injections and neutering were ready more than a month ago, but we kept our promise and pampered Milo as we loved him to bits! Today his new daddy came to pick him up all of a sudden… he was taking him to another address, more close to the hotel he’s living so it would be easier to visit him. Only for the last week he’s in Malta as he’s leaving on the 7th November 2014. It was a shock… seeing our dear Milo leaving to another “home” as we know how afraid he’s of strangers; nobody knows him better than we do after taking care of him for 2.5 months…. 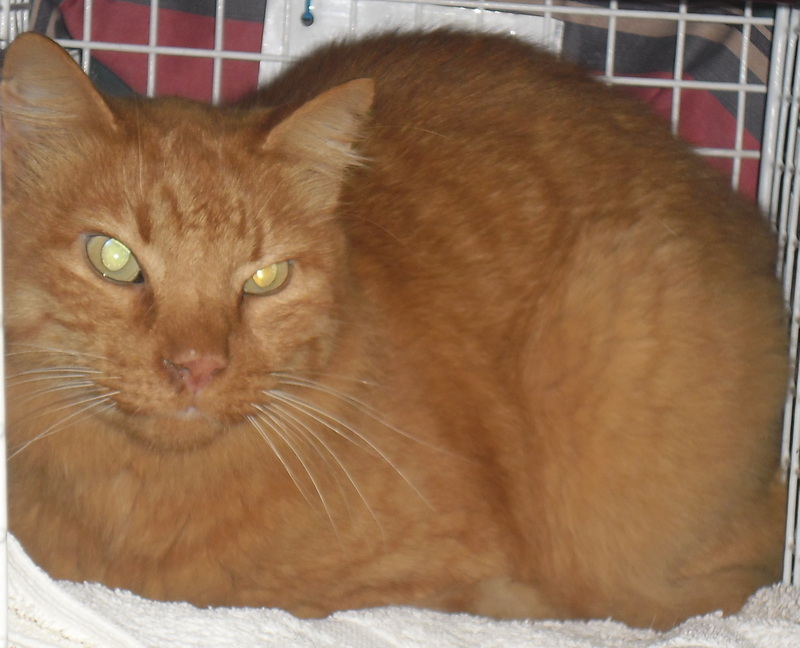 We did our very best and can only hope that Milo will have a safe trip to his new home in Ireland; hopefully in cabin and not in the hold as he will be terrified! Bye bye sweetie! Have a safe trip to your new home! 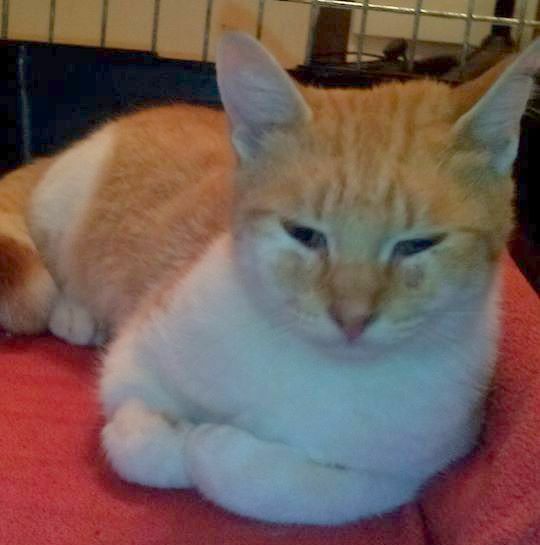 Monty was rescued last week and socialized very quickly. 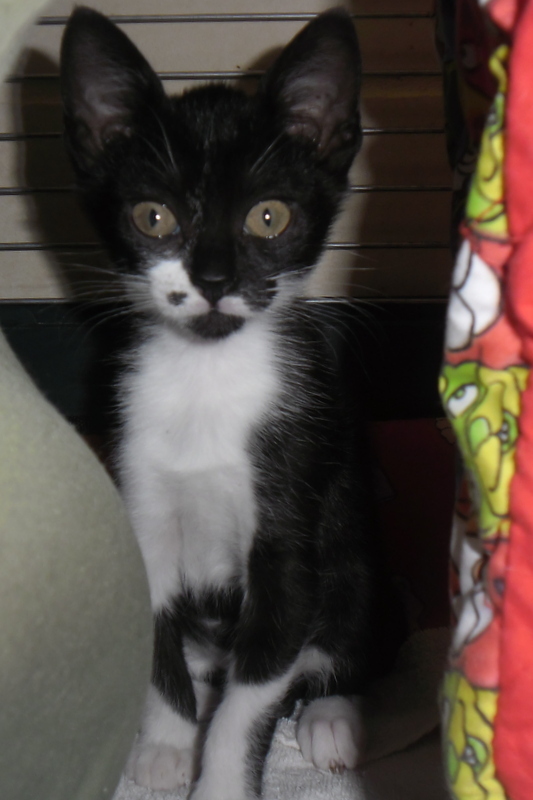 A very nice lady wanted to adopt him so he went to his forever loving home today. His new name is Lenny.